What does a health insurance policy not cover i.e exclude? The moment of truth in an insurance policy is at the time when a claim arises. One of the most common reasons for a health insurance claim not being paid by an insurance company is when they say that the particular disease is not covered by the policy and is an “exclusion”. It leaves a bitter taste in the mouth of the policyholder and can sometimes put the policyholder in great financial difficulty. 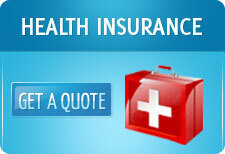 Thus, it is very important to know in detail about the exclusions in a health insurance policy before purchasing it. In our opinion, it is a far more important variable than price. A policy might be 10% cheaper than a competitor’s policy but might have many more exclusion clauses-in such a case, the policy with the lesser number of exclusion clauses would be the better choice for the policyholder. Maternity: In most cases, maternity and maternity related expenses are not covered in an individual or family floater health insurance policy. Maternity is typically covered in a group policy. In certain cases, we are seeing maternity being covered after 5 years into the policy.